Matt Cassel is due to get released any day now. 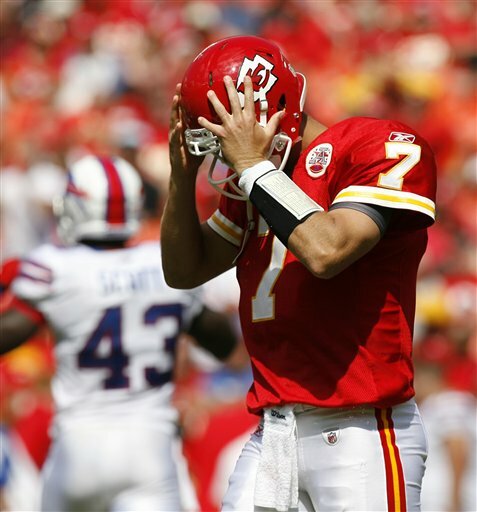 Remember in 2010 when the Kansas City Chiefs were 10-6 and won the AFC West?? That was the first year Matt Cassel was the starting quarterback and the future looked bright with WR Dwayne Bowe his main target for years to come. Then Offensive Co-Ordinator Charlie Weiss left and the offense completely fell apart as Cassel regressed. Two losing seasons followed and both Head Coaches Todd Haley and Romeo Crennel got the ax. The Chiefs finished 2012 with a 2-14 record and scored an NFL low 211 points on the season. In 5 of their last 7 games they scored less than 10 points which was pathetic. Sure they had some injuries but every team suffers from injury. Yet with the NFL’s 20th ranked defense, had they scored or just been middle of the road proficient they could have been a playoff team. What held them back?? Matt Cassel and Brady Quinn’s combined 8TDs to 20 interception season was the main reason this team was held back. To KC after being supplanted in SF, Smith will have the landscape to himself. 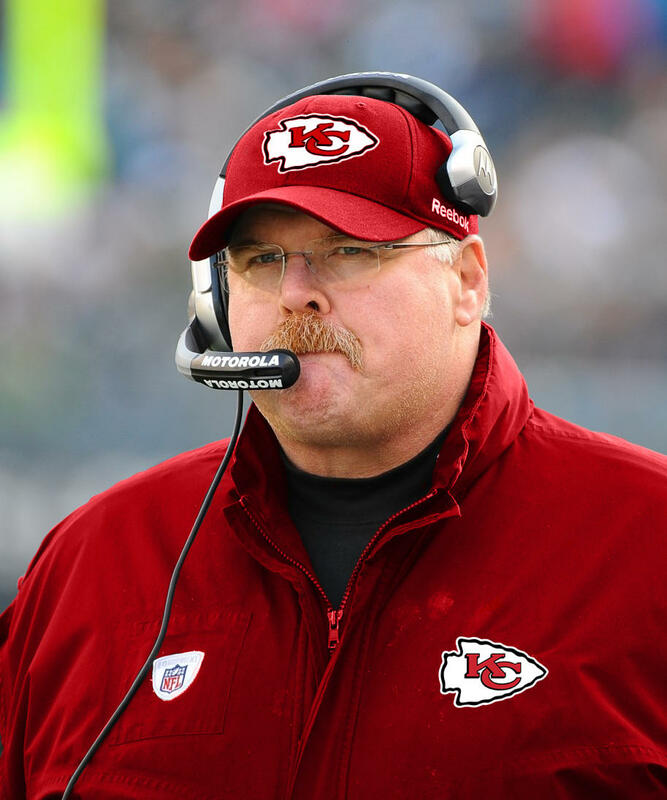 Enter new Head Coach Andy Reid and newest Kansas City Chief Alex Smith. The San Francisco 49ers have agreed to trade Smith to the Chiefs once the league year starts. With this move Kansas City changes the landscape of the AFC West immediately. The staple of the Andy Reid era in Philadelphia was his quarterback development. We’re not just talking Donovan McNabb, think back to the 2002 NFL season. In that year he coached AJ Feeley and Ty Detmer to a 5-1 record while McNabb recovered from a fractured ankle. That year they made the NFC Championship Game. In 2006 he coached an aging Jeff Garcia to a 5-1 record when McNabb was lost for the season and they made the playoffs winning a wild card game. All this before we talk about the resurrection of Michael Vick’s career and the possible Hall of Fame career of McNabb, Reid develops quarterbacks and don’t forget his role in the ascension of Brett Favre’s career. Every quarterback that has associated with Reid has performed above expectations. He is the replacement to develop quarterbacks the Chiefs have sought since Charlie Weiss’ departure. He may be the best to develop quarterbacks in the last 25 years. Look at what he did last year with a rookie in Nick Foles?? Now Smith won’t look over his shoulder like he had to last year in San Francico. His replacement last year was thought by many, including The Chancellor of Football, to be an unfair decision. At the time he was outplaying Colin Kaepernick and finished with better stats than the man who replaced him. For 2012, A. Smith completed 70% of his passes for 1,737 yards 13 TSDs with 5 interceptions vs 62.4% for 1,814 yards 10 TDs and 3 interceptions. An uneducated fan will say “Yes, but they made the Super Bowl with Kaepernick” which is true but a total misnomer. They were already on their way there. In 2011 totally under Smith’s control they were 13-3 and lost in overtime in the NFC Championship Game. In that game he didn’t throw any interceptions. The same couldn’t be said for the 11-4-1 49ers that played in Super Bowl XLVII as Kaepernick did throw a 2nd quarter interception that held up comeback efforts. Andy Reid needed a fresh start and the Chiefs and Alex Smith will give him the tools to be successful. Smith had come of age and was enjoying a decent 2012 and all hadn’t been healed from the 49ers letting him dangle in free agency while courting Peyton Manning. The only true reason he was replaced Russell Wilson’s success out of the pistol in Seattle. 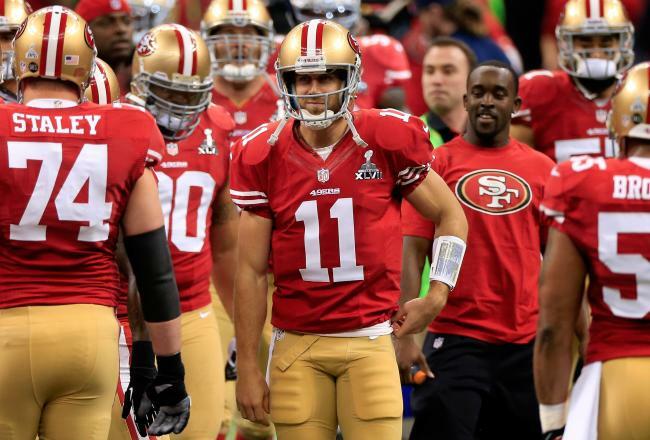 So the 49ers rolled over a plan last year that wasn’t going to take place until 2013. Nevertheless Smith is free and will inherit a 1,500 yard rusher in Jamaal Charles. Kansas City has the #1 draft pick this year as well. He’ll have Dexter McCluster out of the backfield also. This could be the rebirth of WR Dwayne Bowe who was coming off back to back 1,000 yard seasons before last year’s 59 rec. 801 yard 3 touchdown performance. What will this team do with the first pick and what will the Chiefs attract in free agency with Alex Smith now in tow?? The landscape has changed in the AFC West, with a few moves they could go from worst to first in a single year. Once the league year starts in March who will be attracted to Kansas City now that they have a coach, a quarterback, and a direction?? 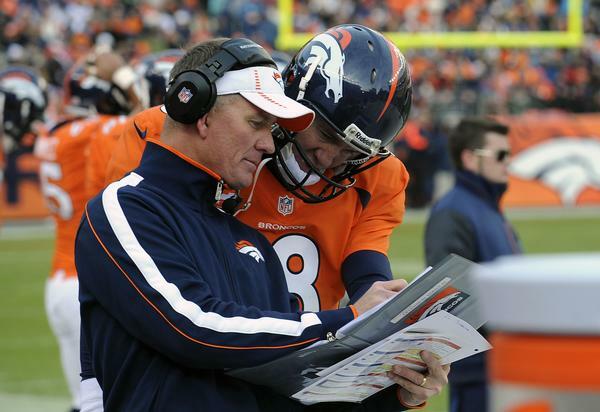 Peyton Manning has had command of the Bronco huddle from the outset. At this time last year, the Denver Broncos won the AFC West on the last week of the season, although they staggered to an 8-8 finish. This year with Peyton Manning orchestrating the offense, they have actually scored 349 points in 12 games where last year they scored 309 in 16. Their 9-3 record is good enough to wrap up the AFC West with a month left in the season. Although pundits like Peter King hailed the Broncos from the outset, we here at Taylor Blitz like to see progressive growth during the season. Make no mistake the Broncos are an improved team…but are we witnessing a transcendent team or are they the beneficiary of a weak division?? We need a litmus test that can tell us who the Broncos are and how strong they are. Now that they’re division champs, we have to assess if the Broncos are able to make a Super Bowl run. In actuality there is much in the way of substance but even more in the way of a mirage. Do you realize that aside from Sunday’s game with Tampa, the last time they played a team with a winning record was October 15th?? Even that game was against the backsliding Chargers who have lost 7 of their last 8 games. In their 7 game winning streak, only 2 have come against winning teams. In fact, the Broncos are only 4-3 against teams with winning records. One of the wins came against the Steelers who didn’t have Troy Palamalu, James Harrison, and Ryan Clark. You have to put an asterisk next to that one when assessing strength. The Broncos are clearly a better team with Manning at the helm. Denver’s offense is #5 in total offense and #3 in total defense but are they battle-hardened?? That is The Chancellor’s point. You have a team that is feasting on a lot of patsies and padding their record like an old Big 8 Nebraska college football team. They have losses to the Patriots and the Texans who have tie breaker advantages over them and Denver would have to travel to either in the playoffs. They are -3 in the turnover margin and the defense has only forced 10 turnovers on the road. Six of those came against the hapless Chargers. Peyton Manning should be runaway NFL Comeback Player of the Year and in the thick of NFL’s MVP talks as well. He’s completed 304 of 447 (68%) for 3,502 yards, 29TDs with only 9 interceptions. He’s done this with a moderately talented receiving staff and has been the steadying hand for this year. Especially with the loss of Willis McGahee until the playoffs, teams are still gearing toward Manning. Wideout DeMaryius (what kind of name is that) Thomas is having a career year. His 69 receptions, 1,114 yards, and 8 touchdowns pace Bronco receivers. Thomas has more than doubled his 2011 output and still has 4 games to go. Von Miller has been everywhere this year. There are some points of substance at individual positions. Von Miller has catapulted himself into the Taylor Blitz Time’s NFL Defensive Player of The Year award conversation. 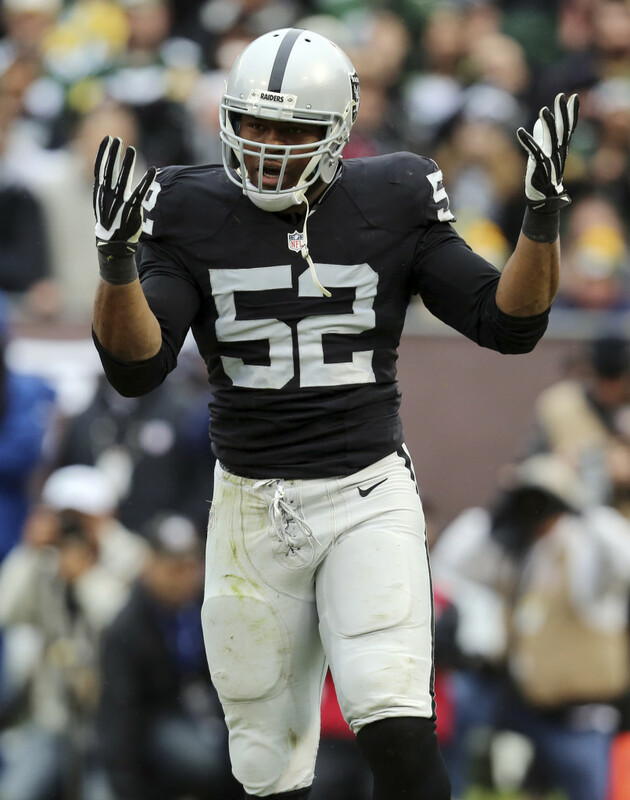 With 53 total tackles, 15 1/2 sacks, 5 forced fumbles, and an interception for a touchdown, this is a force. Those are Lawrence Taylor type stats and his highlights over the last month, no one has been able to match his play. The secondary hasn’t forced a lot of turnovers and only have 5 interceptions for the year amongst the starters. How will this team fare in the playoffs in a game where they can’t generate a pass rush?? Most of these questions are going to go unanswered until we get into the thick of the NFL playoffs. What Coach John Fox hopes is the team can ride the wonderful wave of confidence once the playoffs start. One game that now looms important is that week 15 match-up in Baltimore. Now that the Ravens lost to the Steelers, Denver is within striking distance of taking the #3 seed away with a win. If they lose in Baltimore, the Broncos worst fears could surface right before the postseason begins. They’d have to be on the road for both the divisional playoff and conference championship games if they lose in Baltimore. That could send them to New England and Houston barring any upsets. Don’t forget they lost to both teams already and the nightmare loss to New England in last year’s playoffs could flash in the minds of Bronco players along with this year’s regular season loss. That could sap the confidence of the team if they fall behind early. Peyton Manning showed true greatness in Monday night’s stunning come from behind win. 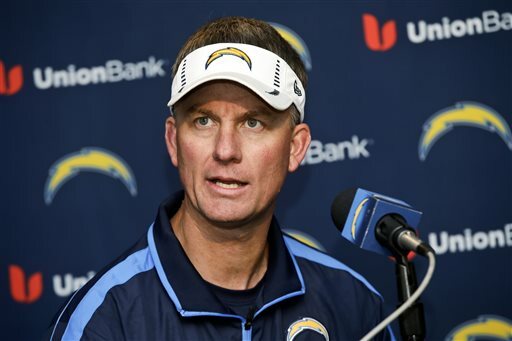 In the waning moments of Monday night’s comeback, we saw the true nature of the San Diego Chargers under Norv Turner and the possibilities for the Denver Broncos with Peyton Manning. 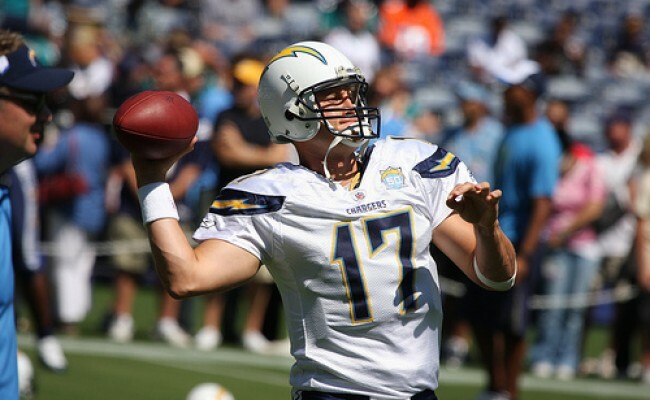 First lets look at the perennial underachieving Chargers. When our CEO talks about championship football teams, it’s usually around signature wins that bolsters their confidence as they mature over a season. Before you can prove to the rest of the NFL that you’re a force to be reckoned with, you have to knock down a bully in your backyard. Now wasn’t it one year ago Rex Ryan boldly stated “Had I coached the talent the Chargers have, I’d have Super Bowl rings”, in an obvious dig at Turner?? How did he and his team respond after being called out?? They came out and took a 21-10 halftime lead on the Jets only to show no fight in the end while losing 27-21. http://www.pro-football-reference.com/boxscores/201110230nyj.htm They were outscored 17-0 as the Jets promptly took their lunch money without much of a struggle. Fast forward 358 days and here the Chargers were playing the odds on favorite to win the division in the Denver Broncos. This time they woke in the heat of battle up 24-0. Antonio Gates had just scored after the defense showed it could play Manning tough with Quentin Jammer’s 80 yard interception return for a touchdown. Their crowd was in it. Manning was having his struggles and Phillip Rivers looked like a world beater. So what happened??? That was an incredibly gritty performance by Peyton Manning. Where he could have packed it in after his pick 6, he kept on firing. One strong point to the comeback was they didn’t totally abandon the running game. This kept the Chargers honest and his intermediate passing lanes open. The clinic he performed was reminiscent of the 21 point 4th quarter deficit he erased when his Colts came back on the champion Buccaneers 38-35 in 2003. This time he performed surgery for 2 quarters. Of course we all remembered his epic comeback in the 2006 AFC Championship against New England. However this one seemed better than those..surreal. He has been trying to make it work with a new team, and if you dissect his season, it’s as though he has to realize the strengths of his personnel and what they present in match-ups to the opposition. He’s had to do this in every game and then he gets hot. Do you realize that with 1,808 yards and 14 touchdowns, he is on pace for 4,821 yards and 37 TDs?? Yikes!! Can he physically keep it up for the duration of the season?? So what are we talking about when we say illusions?? In all actuality the Broncos only raised their record to 3-3 and right now the defense is allowing 23 points per game. They do rank 11th in total defense and can play stifling defense in fits and starts. So are they as good as their 3 wins or as flawed as they appeared in their 3 losses?? Puzzling but this win over the Chargers was the first over a winning team as well as a first triumph on the road. As for the rest of the season they only face 3 teams who are .500 or better, and 5 of their next 8 games are on the road. As for the Chargers, here they were with an inflated record of 3-2 with wins over the back-pedalling Raiders, Titans, and Chiefs. When it was time to step up and show they were for real in a showcase game, they gave us another epic collapse. Just like that loss last year to the New York Jets, it showed this team lacks toughness and has a damaged fight or flight mechanism also. They became clock watchers and couldn’t turn the tide once momentum was on the side of Denver. With the loss of WR Vincent Jackson, this team has lost all of the playmakers they once had to turn a close game in their favor. From a psyche standpoint they will not stand up and fight. As long as Norv Turner is the coach, this team is not to be trusted as being a Super Bowl caliber group. As for the Raiders and Chiefs…it’s been an optical illusion that they have even taken the field this year. We would like to entice readers to tune in to The Artie Clear Show which has been a place where Taylor Blitz Times has been on several times talking football. Artie tells it like it is and as of October 17th will be live on Fox Sports Radio as well. Congratulations Artie Clear! Guys and girls, tune in. 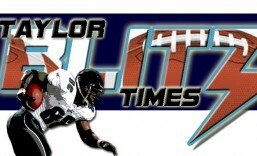 The Chancellor of Football from Taylor Blitz Times will be on there talking football again.